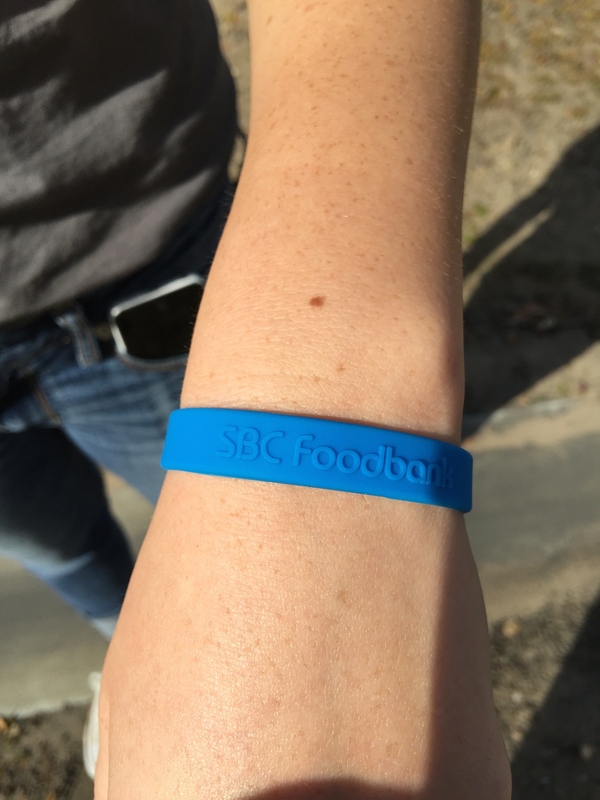 Foodbank bling must be earned! 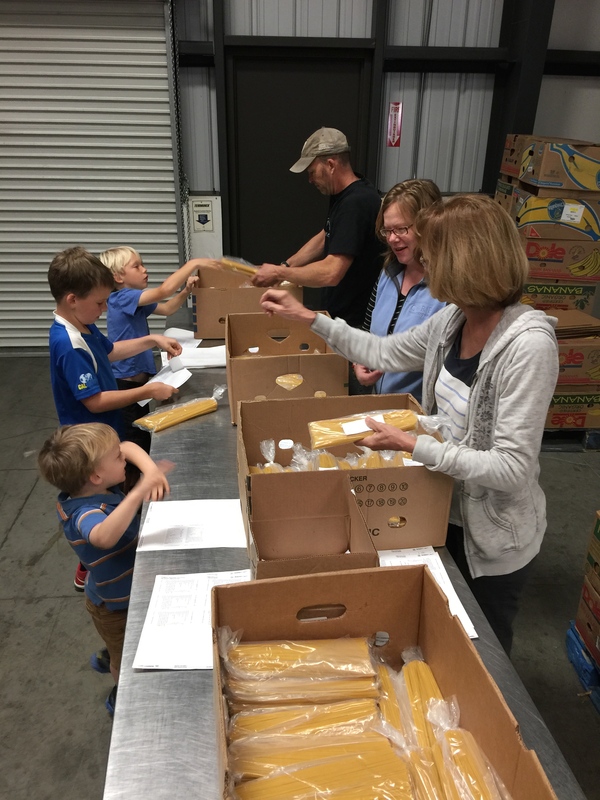 The Foodbank of Santa Barbara County feeds a lot of kids. 35% of our 140,000 unduplicated people served every year are 17 or under. What you may not know is that kids themselves do a lot of work to make sure this happens. 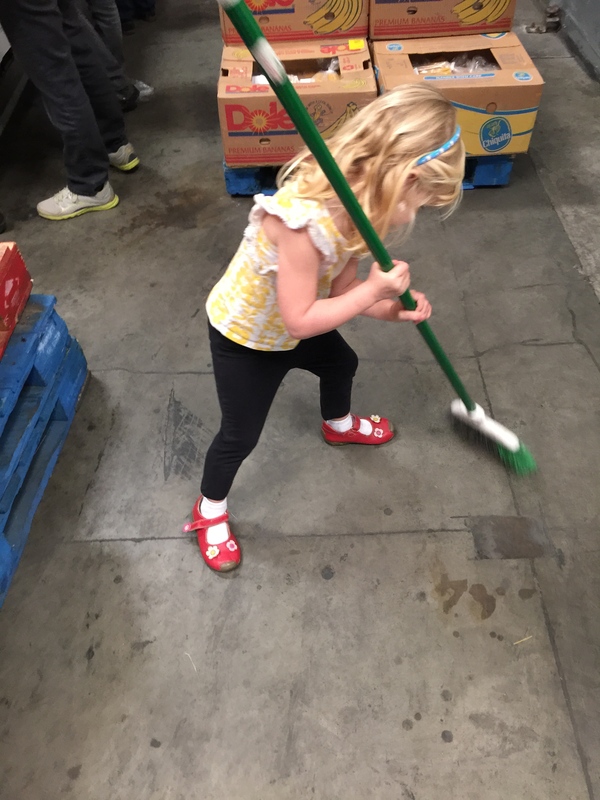 Second Saturday of every month is family day at the Foodbank (both north and south county facilities), where kids can bring their parents to the Foodbank for a quick 90 minute service project including a tour of the warehouse. It’s a lot of fun and you get to grips with enormous quantities of food. This weekend I brought two of my own brood to our Santa Maria Warehouse to join in the fun. Lili (17) and Mia (3.5) came to work hard. We had to slip Mia in as she was under the minimum age of 6, but she worked hard as these photos attest. 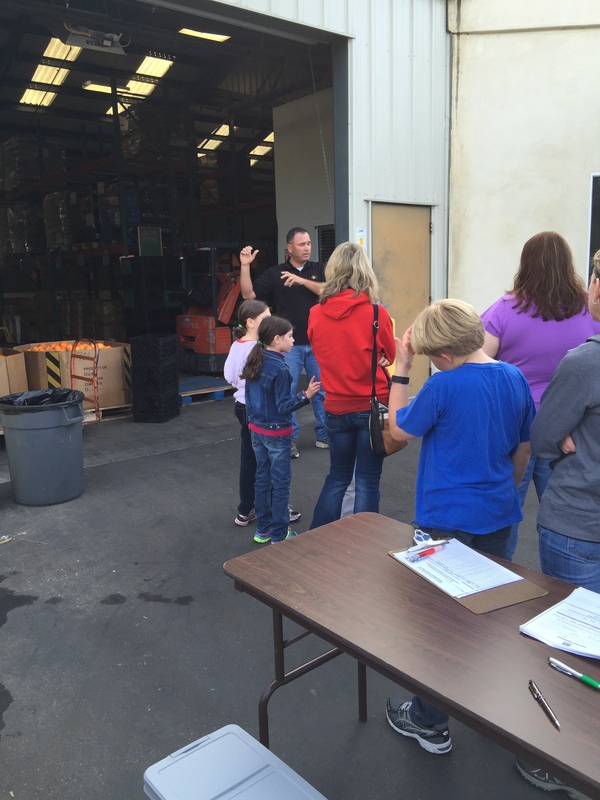 Foodbank Board Vice Chair, Jim Stollberg and his wife Sammi are the dynamic force behind our North County family days, and you can see Jim below giving families a briefing before the plastic gloves came out. 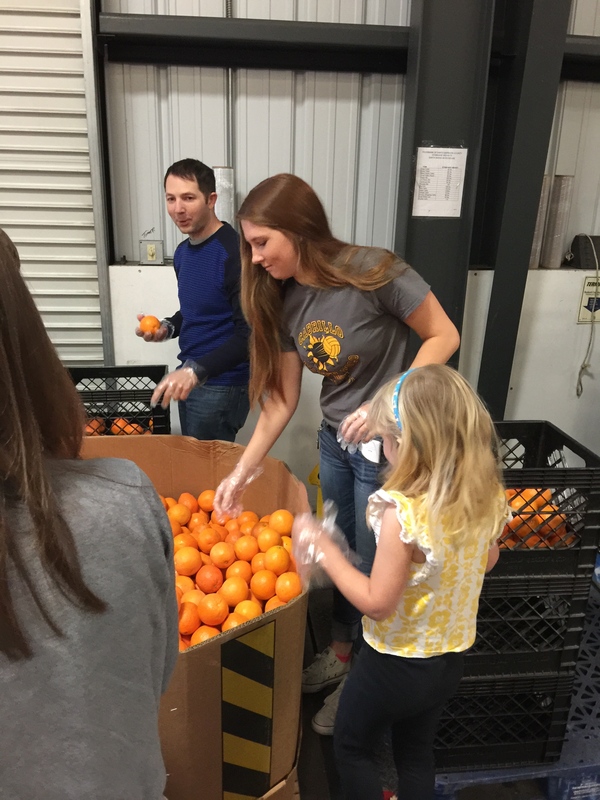 This weekend’s activities were sorting and repacking oranges from the large bins we get in to more manageable milk crate sized containers which are picked up by out 330 member agencies. The other activity was labelling small packets of pasta that previous volunteers had repacked into smaller packets from bulk. We had over thirty people show up, families from Santa Maria and Santa Ynez as well as from Vandenberg AFB. 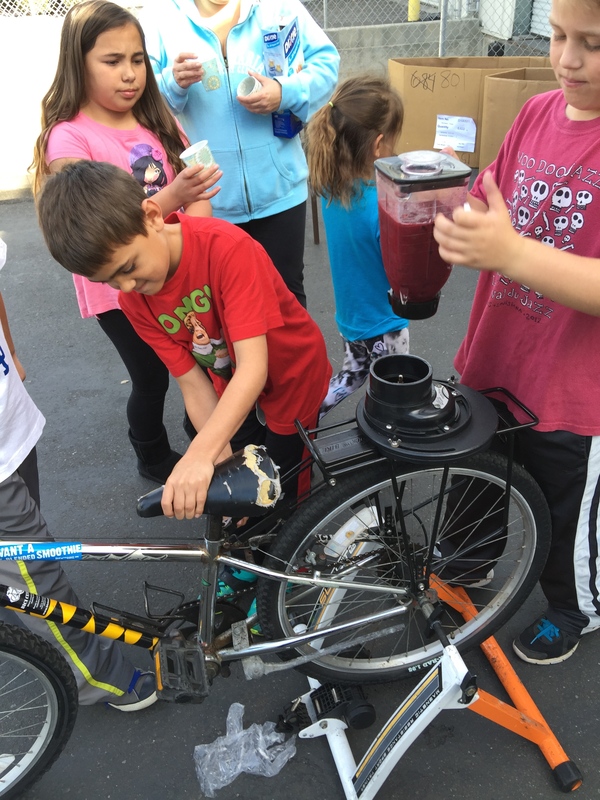 Parents were thrilled that their kids were learning about giving back to the community and kids got the chance to check out the Foodbank’s world famous bike blender for making healthy smoothies. 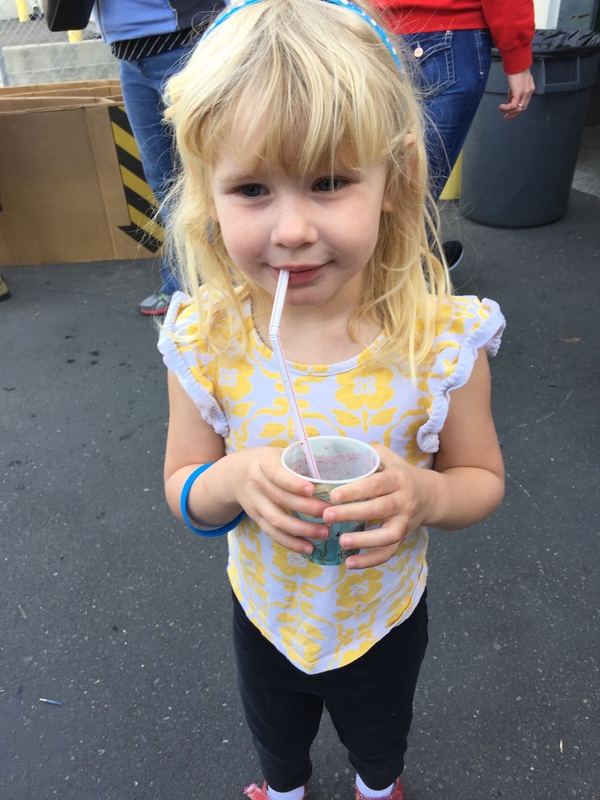 It was a great way for me to celebrate the half-way mark of my Food Security Challenge to know that there were so many caring families wanting to make sure their friends and neighbors had enough to eat. 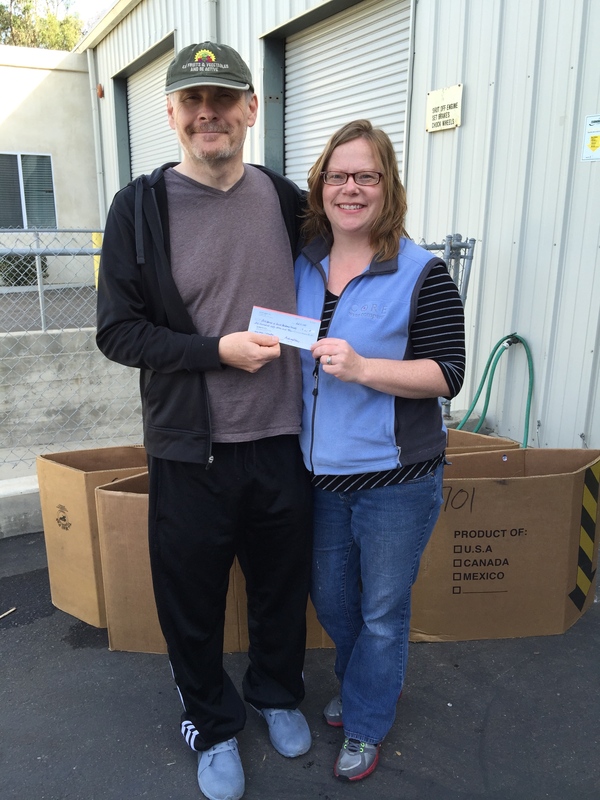 And thanks to Dave and Becky Corey of Core Wines for their generous donation! Becky Corey of Core Wines. I wanted a hamburger, but i’ll take a check!